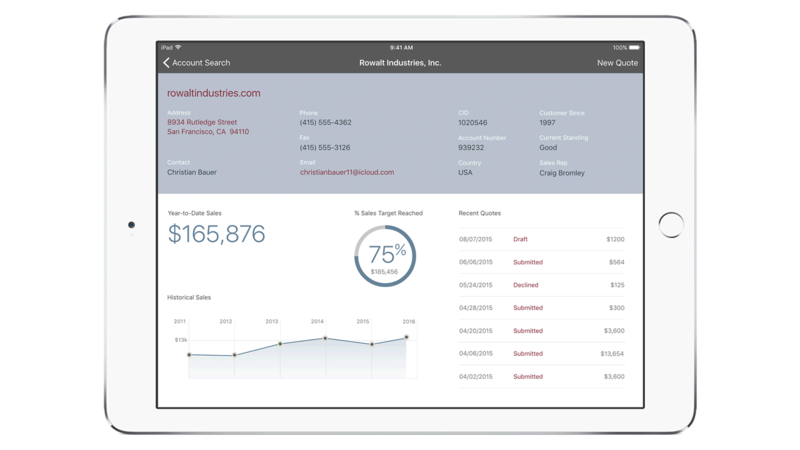 IBM MobileFirst for iOS Sales Proposal allows sales representatives to create customized client proposals with validated configurations on the spot. IBM MobileFirst for iOS Sales Proposal allows sales representatives to create customized client proposals with validated configurations on the spot. Sales Proposal uses deep analytics to draw from complex data, like product dependencies and pricing rules. The app provides clients with optimized solutions instantly, while simplifying the proposal cycle dramatically. Sales Proposal puts the power of product configurators and complex product catalogs at the fingertips of the seller. It applies business rules to assess the validity of product configurations in real time while in conversation with the client. Sales Proposal allows you to apply analytics that take complex details into account – such as businesses rules, client history and benchmark trends. Make associated product and service recommendations, alongside pricing simulations. The app gives you real-time, up-to-date information on products, configurations and optimized case studies that support client needs. Securely access proprietary proposal information with Touch ID on iPad.